Conviction is powerful. It breeds conviction in others. So it’s a great trait for a leader to have. It isn’t easy to demonstrate conviction in a world plagued with uncertainty – in fact we know that as uncertainty increases, the brain shifts control over to the limbic system, the place where emotions such as fear are generated. It’s not what we want and it’s a reaction that inhibits us from making choices in the absence of certainty. Perhaps it’s what defines a great entrepreneur or leader – the courage of your convictions even in the face of uncertainty. That clarity enables the rest of the team to move ahead and act with confidence. Conviction matters in many areas in life, not just leadership. I started running 5 years ago; I was a novice. I ended up on the start line of the London Marathon in 2017. I had done the training. But I was still fearful. What will happen to me after 20 miles? You never run further than that in training, it takes too much out of you and requires lengthy recovery. Runners often run out of glycogen (stored energy) after 19-20 miles. As you enter the last 6 miles of a marathon your body is very low on carbohydrates and must turn to fat reserves to keep going. That is more painful and is a big concern for a first time marathoner. 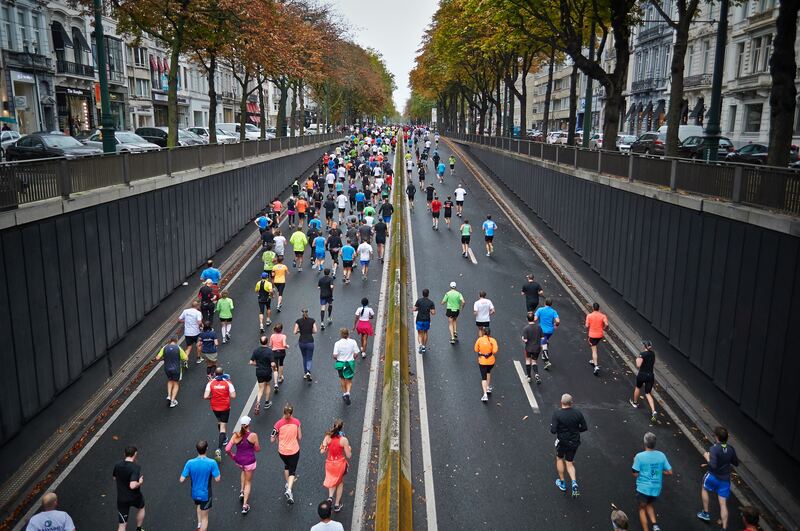 Uncertainty and fear make a marathon a big test. I passed this test, just. Now I am preparing for my second marathon. This time, I have conviction on my side. Why? Because it is no longer an unknown. Because I will train better, fuel better, sleep better the night before. The fear has left me. At Value Partnership we work with experienced leaders in major companies and first time CEOs in growing firms. These young CEOs have to be courageous. Take Thomas Hajek, first time CEO of Austrian insurance tech firm netinsurer. Brokers, insurance companies and consumers in Austria & Germany are currently underserved by an old fashioned insurance market that is complex, unreliable, slow and ripe for change. netinsurer want to change that for good. They want to be the digital change maker in insurance; the first, truly digital, fit for purpose insurance business that transforms how brokers, companies and consumers work with each other and how they feel about the insurance industry. They are putting consumers at the heart of their business model to make insurance work better for everyone. It’s bold, clear and happening every day, one step at a time. Thomas is proof of what conviction does for a leader. The clarity he has about netinsurer provides a true north for decision making and creates a powerful glue to unite his team. Watch this business, it is going places.